No more jumping out. 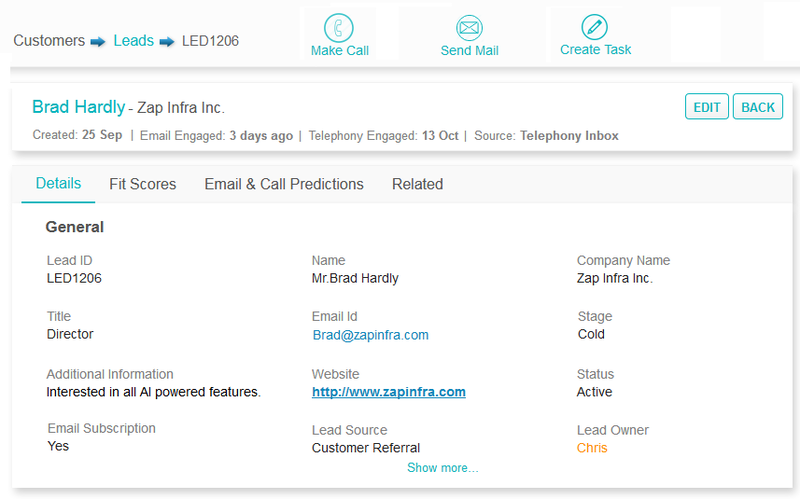 Make calls directly from your CRM with in-built sales dialer. No more your sales reps have to shift between CRM and calling platforms to speak to your customers. With in-built dialer, Call your customers instantly from Kreato with a single click. Not only calls, Kreato provides your sales reps to text your customers. Also all the text messages sent or received will be auto logged into respective lead or contact’s timeline for future reference. Get automated transcripts for both the inbound & outbound calls. Calls transcripts will be very helpful to quickly go through & get a glance out of the lengthy call conversations in no time. 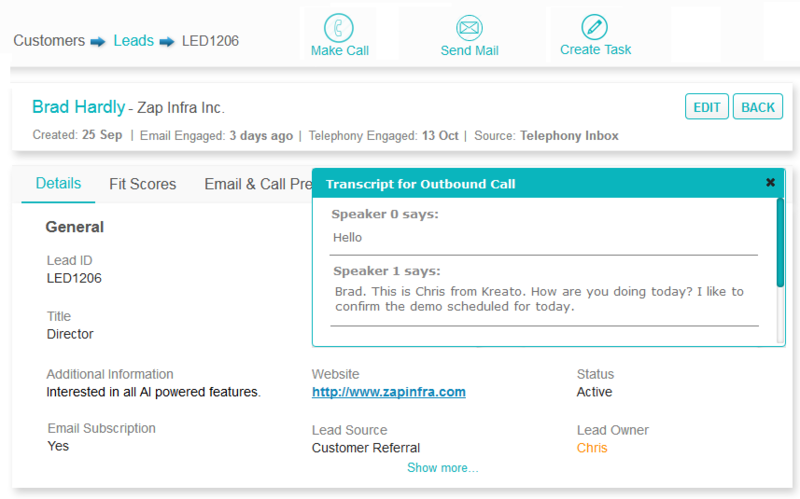 Kreato automatically log and record all call conversations (both inbound and outbound) on respective lead & contact’s timeline with no manual feed required, helping sales rep to focus on sales. Capture either the entire call conversation or the important points discussed with the call notes with a single click. 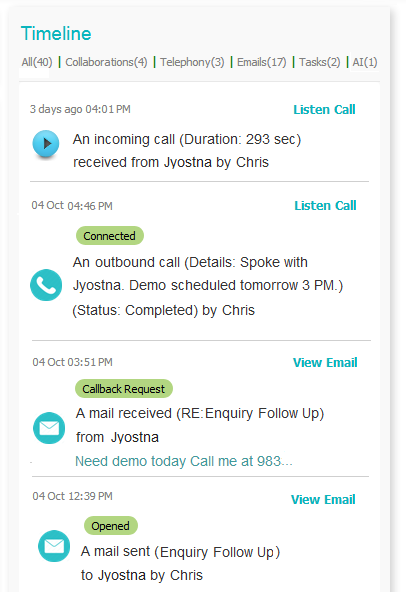 Recorded call notes can be accessed on lead or contact’s timeline for quick reference. No worries, if your sales reps call from some offline calling platforms. With offline call scripts, they can manually record the call conversation with details on outcome & duration on a single click. Twilio, Plivo, Ozonetel, Knowlarity, Exotel and more.